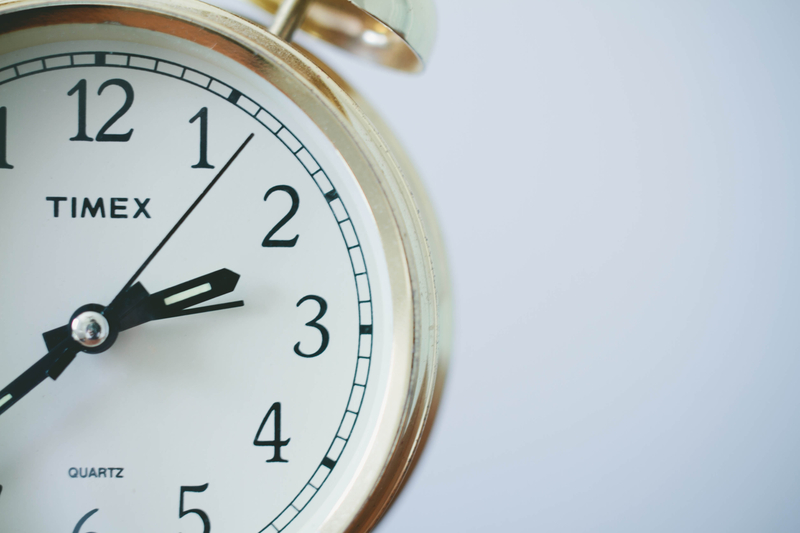 Home › Seasonal › Why Do We Have Daylight Saving Time? March is the month that marks the beginning of spring in the Northern hemisphere. It is also the month of the spring or, aptly titled, March equinox. Yet, another thing occurs in March that different parts of the world celebrate or rather conduct on different days: Daylight Saving Time, or DST in short. What is DST, why was it established, do we even still need it today and when doe we advance our clocks this year? We have the answers to these questions! DST is also called summer time and it marks a period of time in which we advance our clocks by one hour. This way, during the summer months, evenings are pushed further back, resulting in days with “longer daylight”. As a counter to that, clocks are turned back one hour sometime in Autumn. The idea of daylight saving time has been around since the 1780s. Back then, jokingly, Benjamin Franklin proposed to get people out of bed earlier in order to save candles by working with natural sunlight in the morning. It took until 1916, however, until the first recorded and nationwide daylight saving was conducted by the countries that are now Germany, Austria and Hungary. Especially since the energy crisis in 1970, the daylight saving time became a staple in many countries. Some other countries, like Chile, the Fiji islands or Iran set the date for DST on another day, but those mentioned above are the most common. Furthermore, some states and countries might make last-minute decisions about daylight saving time which is usually announced on short notice mere days before the date. Unfortunately, studies about the affects of Daylight Saving Times with regard to our modern energy usage are sparse and tend to contradict one another. The benefits are clearly there when looking at daylight activities that people usually pursue after working hours. This includes sports, retail and other hobbies. However, especially the farming industry gathers arguments against DST since it poses difficulties for activities and economies that are dependent on daylight. Furthermore, while computers nowadays switch time automatically, this one-hour shift can cause problems when it comes to time keeping. Especially across countries that handle Daylight Saving Time on different days (or not at all), major complications can occur when it comes to billing, flights and travel in general or legal actions. Furthermore, many people complain that advancing or setting the clock back is messing greatly with their sleep pattern, causing health issues. No matter what your stand on DST might be, don’t forget to advance your clock on March 12th if you’re from America or Canada, or on March 26th if you’re from Europe!